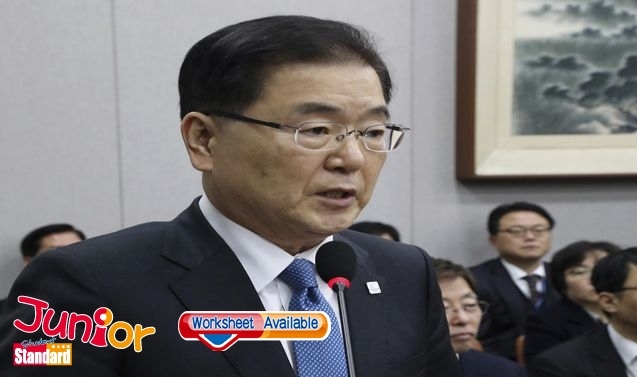 SOUTH Korean President Moon Jae In (文在寅) sent a team of special envoys – including Seoul’s (首爾) spy chief – to the North to push for talks between Washington (華盛頓) and Pyongyang (平壤) on nuclear weapons. The mission is the latest chapter in a remarkable Olympics-driven detente between the Koreas. They marched together at the Pyeongchang (平昌) Winter Olympics that ended on 25 February, with the North’s leader, Kim Jong Un (金正恩), sending his sister as a special envoy to the opening of the event. Kim Yo Jong’s (金與正) appearance there marked the first visit to the South by a member of the Kim family since the end of the Korean War. Moon has sought to use the Olympics to open dialogue between the United States and North Korea in the hopes of easing a nuclear standoff. Along with national security adviser Chung Eui Yong (鄭義溶) and spy chief Suh Hoon (徐薰), Moon’s team has three other top members. North Korea staged its most powerful nuclear test and test-fired multiple missiles last year, including some capable of hitting the US mainland, in defiance of United Nations (聯合國) sanctions. Washington’s previous stance was that it would not talk to the North before it takes steps towards denuclearisation. But US President Donald Trump has agreed to meet Kim Jong Un to discuss the situation.